I used regular peanut butter here instead of all natural and then used no sweetener. If using natural peanut butter, add a bit of stevia or sweetener of choice. 1. In mixing bowl, combine all ingredients. 2. Chill for 2 hours or until easy to handle. 3. 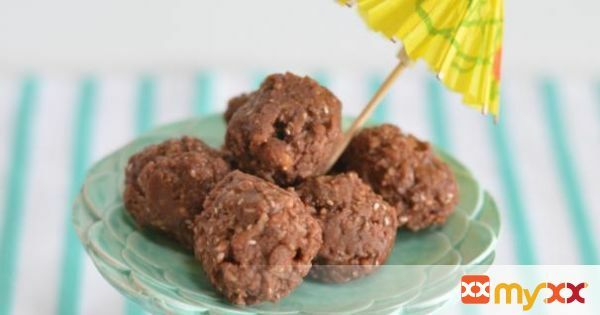 Shape into small bite-size balls.